In the great city of Chicago, many different places for deep dish pizza exist! Out of all of them, Lou's is definitely one of my favorites! They have an amazing butter crust and the endless amount of ingredients that make for numerous combinations. With many locations throughout the city, it is definitely worth a try! 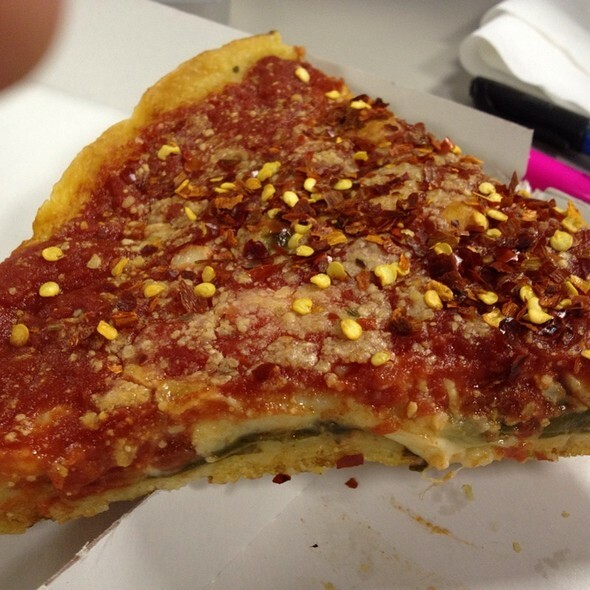 It is hard to give this pizza a perfect rating mainly because the perfect pizza would combine certain parts of each of the great pizza joints of Chicago, but it comes close. 4.5 miles is very respectable, but I am saving that perfect number for my all-time favorite. The most important part of Lou's pizza is their buttery crust! 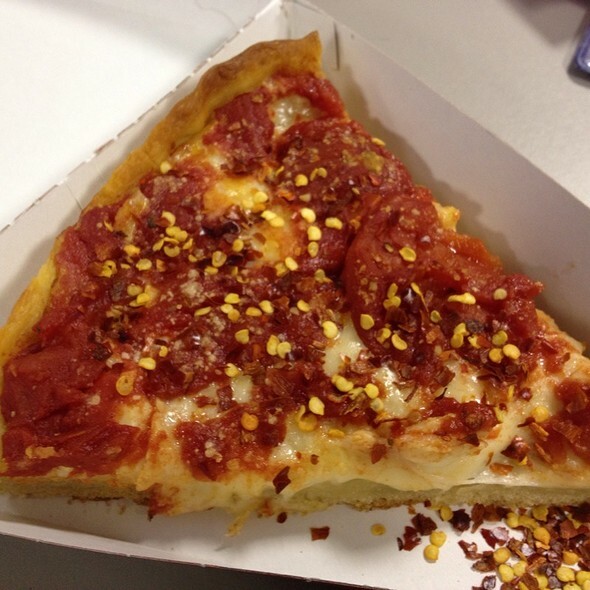 Their deep dish pizza is not as thick as some of the other options in the city, but is some of the best. I enjoy it more because you aren't really eating too much bread, but rather enjoying a great bread to pizza topping/cheese ratio. Their tomato sauce is tangy and chunky, which draws my attention. The spinach is laid on pretty thin, maybe being one of the only negatives about the pizza. Just add a little extra red pepper flakes and enjoy. I do suggest saving the crust for the end to eat like a breadstick. And, definitely try the pizza cold... so order extra and take it home! Another great option from Lou's! The cheese is laid on thick and extremely stretchy! You get the same buttery crust and an amazing tomato sauce. Like I said previously, I wish I could give this pizza a perfect rating, but I couldn't. The tomato sauce is incredible, but there is a better place in terms of sauce in the city. - Do order two medium pizzas for 5 people. This way everyone will get a couple of slices and then some will be leftover and you can try it cold! - Don't get chicken or some of the other more bland ingredients. They don't have much flavor and the sauce just overpowers it enough to basically be non-existent. - Don't order any of the appetizers. You don't want to get full on the appetizers... save room for the pizza! J.P. Graziano Grocery Co., Inc.